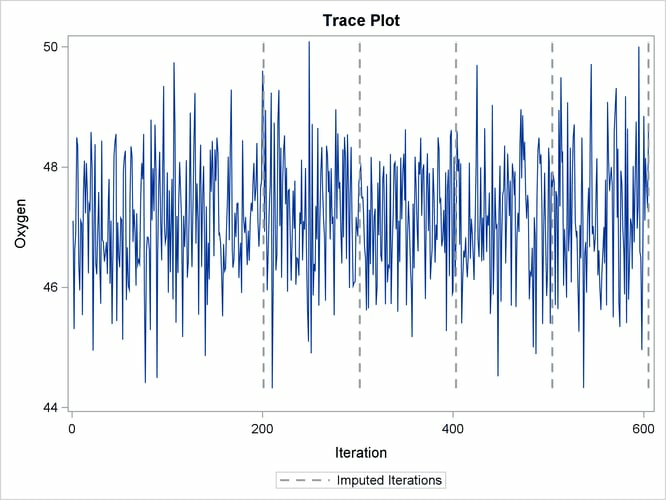 With ODS Graphics enabled, the TRACE(MEAN(OXYGEN)) option in the PLOTS= option displays the trace plot of means for the variable Oxygen, as shown in Output 61.11.1. The dashed vertical lines indicate the imputed iterations—that is, the Oxygen values used in the imputations. The plot shows no apparent trends for the variable Oxygen. 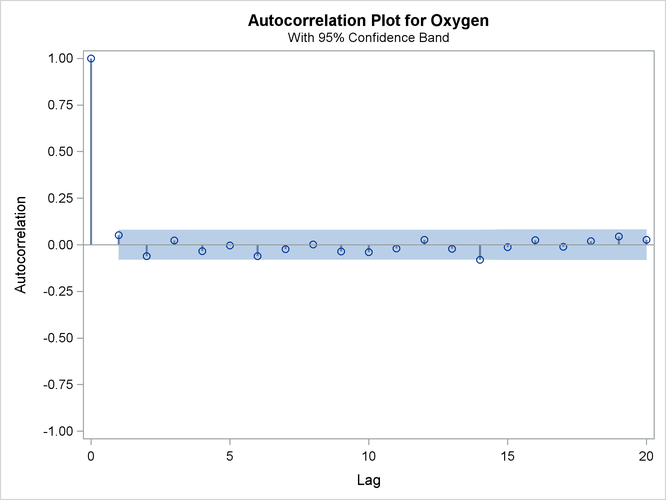 The ACF(MEAN(OXYGEN)) option in the PLOTS= option displays the autocorrelation plot of means for the variable Oxygen, as shown in Output 61.11.2. The autocorrelation function plot shows no significant positive or negative autocorrelation.